The bad assets exposed by banks in this round of economic transformation are still far from the peak. 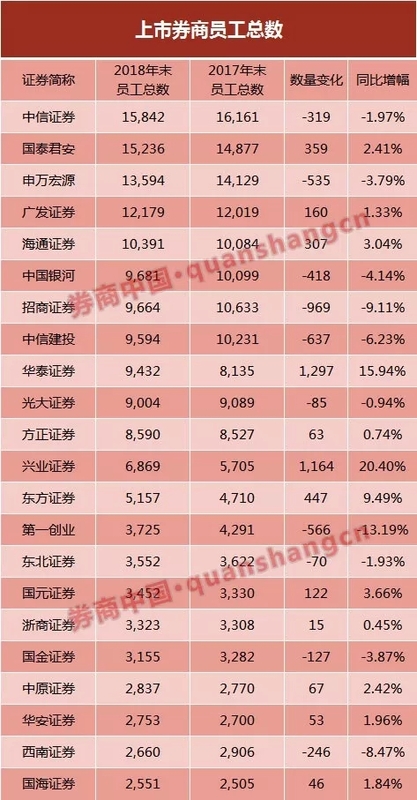 On April 10, China Orient Asset Management Co., Ltd., one of the four major asset management companies (AMC), released the 2019 China Financial Non-performing Assets Market Survey Report in Beijing. The report has been published for 12 consecutive years. Using a combination of questionnaires and data analysis, the company continues to monitor China's non-performing asset market dynamics and predict future development trends. According to the report, most of the banks and asset management companies surveyed believe that the non-performing assets of the banking industry will continue to “double rise” in 2019, and the slow rise of non-performing assets in the banking industry in the next three to five years will be a high probability event. As for when the bank’s non-performing asset ratio peaks? 2020 is a key time. According to the report, from the survey results, the non-performing loan ratio and the size of the concern loans of commercial banks are expected to peak at the same time in 2020. The report analysis predicts that in 2020, the scale of concern loans will reach a peak, and then concentrate on non-performing loans. Concerning the shift in the concentration of loans, the non-performing loans of commercial banks quickly climbed to the top, and the bad pressure reached its peak. "2020 is not only sad when the commercial banks, the real economy is also facing greater pressure of the occasion." "Report" said. Another issue worthy of attention is that, after last year's regulatory authorities required banks to include loans that were overdue for more than 90 days, the bank loan classification is facing a more stringent trend. 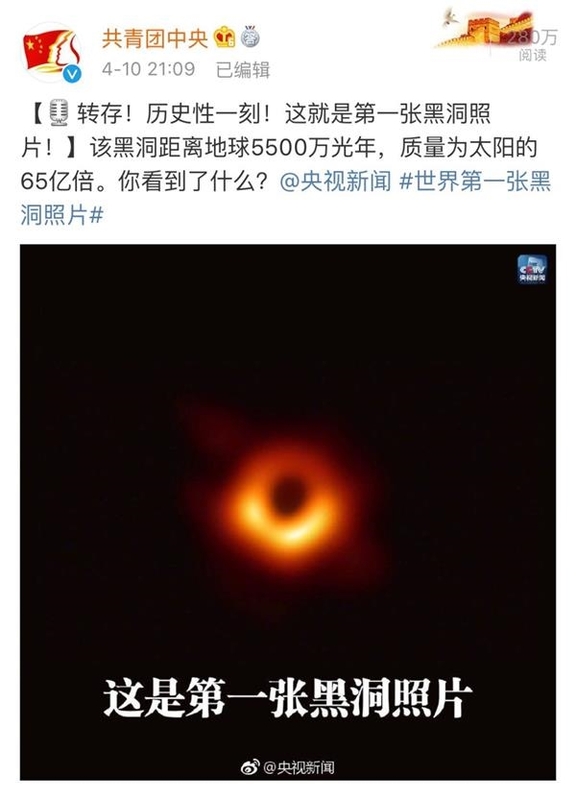 The brokerage Chinese reporter learned from several interviewees that the banking insurance supervision department in some regions encouraged qualified banks (currently mainly big banks) to include loans over 60 days in excess. "At the end of last year, the silver insurance supervision department in some places expressed this idea. This year, we also looked for individual bank windows. According to regulatory requirements, some branches of our bank should start implementing loans over 60 days in excess of this year. At present, we have not received a notice from the China Insurance Regulatory Commission that the head office level is also fully implemented." A large number of people in a country told the brokerage Chinese reporter. If the overdue 60-day loan is also included in the bad, it will definitely put some pressure on the business indicators such as the bank's non-performing rate, provision coverage ratio and profit. Although this is not a rigid regulatory requirement at present, it has not been promoted and implemented in a wider scope. However, once the implementation is expanded, it is also bound to raise the non-performing loan ratio of the banking industry and raise the bank’s efforts to further increase the disposal of non-performing assets. High requirements. Judging from the recent 2018 annual report disclosed by listed banks, although the bank's non-performing loan balance still grows generally, many banks' non-performing loan ratios have declined, or the rate of increase has converged. Does this mean that the quality of bank assets has gradually entered the “safe zone”? Fifth, the driving force for the rapid rise in housing prices is declining. The long-term accumulation of risks in the real estate market is exposed, and the scale of housing-related housing will gradually expand. In fact, for the state-owned big banks whose asset quality has turned first, the judgment on the future asset quality trend is still not taken lightly. Liu Jiandong, the risk director of the Bank of China, said that the environment facing China's development will be more complicated and will be more severe. Unpredictable risks and challenges will be more and greater, and the quality of bank assets will continue to be under pressure. Tian Jimin, general manager of the Risk Department of the Agricultural Bank of China, said that from the current point of view, the Yangtze River Delta and the Pearl River Delta have already passed the turning point. In the central and western regions, the Bohai Rim region has maintained a high level of development. In addition, after the implementation of the new accounting standards, it is more sensitive to some risks. Bankers surveyed believe that China's non-performing loan ratio will peak in 2020 and will fall back. The number of people holding this view has reached 44.55%. Interestingly, from the survey results, 2020 is a key point in the quality of bank assets. This is not only reflected in the fact that most bankers believe that the NPL ratio will peak in 2020, and it is also reflected in the fact that the concentration of concern loans has turned into non-performing loans in 2020. According to the survey results, over 50% of respondents believe that 20%-40% of China's bank-related loans will be converted into non-performing loans. 46.53% of the respondents believe that the time for China's banks to pay attention to the scale of loans is 2020. That is to say, respondents generally believe that the non-performing loan ratio of commercial banks will pay attention to the scale of loans will peak at the same time in 2020. "2020 is not only a time when commercial banks are sad, but also when the real economy is under great pressure." The report said that it is necessary to focus on the time of 2020. Macroeconomic regulation and regulation departments should strengthen regulation, guidance and policy coordination. Do a good job of risk prevention and control, prevent risk spread and transmission, create a good environment for disposal of non-performing assets, and more effectively control and resolve the risk of non-performing loans. When the non-performing loans peak, the judgment of the market is a matter of opinion. Zeng Gang, deputy director of the National Finance and Development Laboratory, said that there are signs that the overall bad rate of the banking industry may have peaked, but not seeing the top does not mean that there is no pressure at all, because the real economy is still in the process of adjustment and may generate new risks of. It is expected that the current non-performing rate of the banking industry will remain for a long time and will not deteriorate. The pressure of credit risk will exist objectively in the future, and the regional differences will be further differentiated. For example, the adverse risks in the Yangtze River Delta and Pearl River Delta regions have been fully exposed, and the bad may have ushered in “double down”; but other regions, such as Henan and Shandong. The credit risk may continue to rise for a while. In addition, from the perspective of institutional types, since 2018, the migration rate of China's commercial banks has been significantly different. On the one hand, the migration rate of concern loans of large state-owned banks has dropped significantly; on the other hand, the migration rate of concern-type loans between joint-stock banks and city commercial banks has risen sharply. According to the report, looking forward to 2019, the four state-owned banks of workers and peasants will be affected by the slowdown in economic growth. The migration rate of interest-related loans will return to the upward trend, and the situation of stock exchanges and city commercial banks will improve. Classification of non-performing loans from the industry perspective, the bank has previously been seen as a high-quality real estate loans, may in the future become a minefield from the meat and potatoes, this trend is already apparent in 2018, non-performing loans last year, the size of the real estate industry It is obvious. According to the survey results, nearly 40% of the respondents expect the most significant increase in the size of non-performing assets of banks in 2019 is the construction and real estate industries. The report believes that the rapid development of the real estate market over the years is inseparable from the support of multiple leverages. However, the continued tightening of the macro-prudential policy of housing finance in 2018 has limited the circulation rate of housing enterprises' funds, coupled with the reduction of land auction premium and the monetization of shantytowns. Due to factors such as slowdown in resettlement, the source of funds for real estate enterprises will remain limited in 2019, financing costs will rise, and there may be risks such as increased hidden inventory, spiraling local housing prices, and declining housing quality. "Therefore, China's real estate market will continue to bear a lot of pressure in 2019, the scale of non-performing loans may continue to increase, and the non-performing loan ratio may increase to 1.35%." The report said. The house has always been ChinaCommon peopleConcerned about the problem. This report not only focuses on the field of non-performing assets, but also involves the macroeconomic situation. Real estate is a topic that cannot be avoided. The report believes that China's short-term real estate market regulation and control focus is gradually shifting from “controlling housing prices” to “stable housing prices”. The proposal of “small city policy and classification guidance” has created a certain space for the local government. The local government’s decision-making measures to correct and control the fiscal balance, steady growth and stable housing prices will be improved. "It is expected that in 2019, under the new control system, continuous global tightening and comprehensive easing policies will be difficult. It is more likely to maintain the existing policy tone, the central window guidance, and local self-correction," the report said. It is worth noting that the report's survey of economists shows that the economists interviewed also judged the future housing price trends in different cities. The survey results show that the economists surveyed generally believe that the overall policy of first- and second-tier cities is still strict, the price-limit policy will still be widely implemented, and the possibility of a large increase in project prices is unlikely. Although the short-term market continued to be low and the project was declining, the policy relaxation expectation was strong, and the incentives for housing enterprises to change prices and house prices fell sharply. Therefore, first- and second-tier housing prices are expected to remain high and the price will not be too large. In contrast, housing prices in third- and fourth-tier cities may fall slightly. According to the report, it is expected that the shantytown renovation and shantytown monetization dividends that will support the development of third- and fourth-tier cities in 2019 will be greatly weakened. The decline in real estate prices in third- and fourth-tier cities is a high probability event, and the downside is about 10%. The rapid rise in housing prices is easy to pierce the bubble and trigger a crisis. Similarly, the excessively rapid decline in housing prices is more harmful. It is not only individuals, housing companies, but also banks with large amounts of mortgage assets. So, what is the decline in house prices that may put significant pressure on banks? According to the survey results, 45% of the respondents expect that the price of the house may be significantly reduced by 20%-30%. In 2018, the growth rate of real estate funds was stable. As of the end of the year, the balance of RMB real estate loans was 38.7 trillion yuan, a year-on-year increase of 20%, and the growth rate was 0.9 percentage points lower than that of 2017. New loans for the year were 6.45 trillion yuan, accounting for 39.9% of the increase in various loans during the same period, down 1.2 percentage points from 2017. However, due to the large amount of stocks, real estate loans, real estate development loans, individual home purchase loans, etc., the proportion of loans to financial institutions has remained at more than 50%. According to the report, the quality of the bank's overall loans is closely related to the operation of the real estate market. In the context of rapidly rising house prices, the real estate industry of hedge highlight the advantages of low non-performing loan ratio, but with the normal regulation of the real estate industry development of gold gradually knot east, running the risk of long-term accumulated high debt may be gradually exposed . In 2018, the pressure on cash flow of real estate enterprises increased significantly, and individual real estate companies defaulted on debts. Annual reports of listed real estate companies show the country real estate company's overall gross profit margin of 20% -30%, the average asset-liability ratio at around 80%. Looking to 2019, the real estate industry if the downward adjustment is too large, prices fell 20% -30%, the solvency of the real estate business will lead to a greater impact on bank loan losses may exceed their risk tolerance. Jin Li "cool"? A large number of stations are vacated out of the official website in "maintenance"